NES River City Ransom (USA) "playaround" in 12:55.38 by adelikat & JXQ. 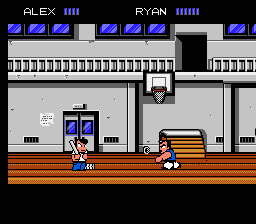 River City Ransom is a goofy game that deserves a goofy TAS. This movie showcases cool tricks and some glitches that don't necessarily result in the fastest completion. We also have a movie which aims for speed. We looked at previous submissions and demonstrations of this game and tried to include the most entertaining parts of what was available, and add in a few ideas of our own along the way. Hopefully you'll get a kick out of it.